The proposed merger between Bharti Airtel and South Africa's MTN would be India's biggest-ever M&A deal. The potential value of the Bharti Airtel-MTN deal would amount to $23 billion. As per the exploring agreement, MTN and its shareholders would acquire around 36 per cent economic interest in Bharti Airtel, while, the Sunil Mittal-promoted Bharti Airtel would acquire 49 per cent stake in South African telecom giant MTN. 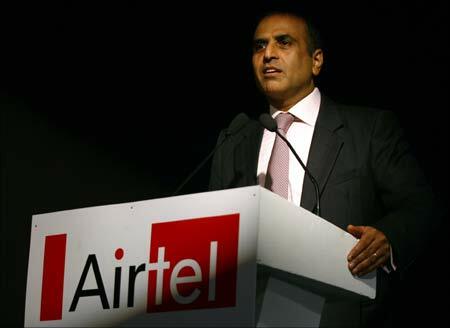 Image: Bharti Airtel chairman Sunil Mittal. On January 30, 2007, Tata Steel purchased a 100% stake in the Corus Group at 608 pence per share in an all cash deal, cumulatively valued at $12.2 billion. The deal is the largest Indian takeover of a foreign company till date and made Tata Steel the world's fifth-largest steel group. 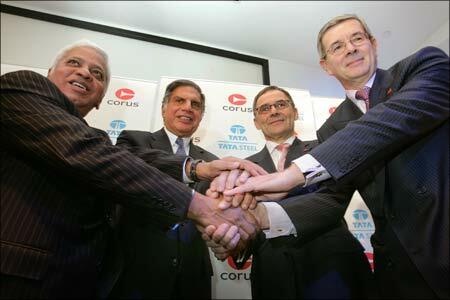 Image: B Mutharaman, Tata Steel MD; Ratan Tata, Tata chairman; J Leng, Corus chair; and P Varin, Corus CEO. On February 11, 2007, Vodafone agreed to buy out the controlling interest of 67% held by Li Ka Shing Holdings in Hutch-Essar for $11.1 billion. This is the second-largest M&A deal ever involving an Indian company. Vodafone Essar is owned by Vodafone 52%, Essar Group 33% and other Indian nationals 15%. 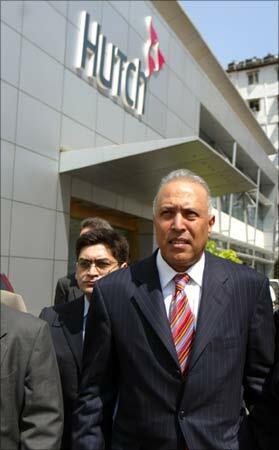 Image: The then CEO of Vodafone Arun Sarin visits Hutchison Telecommunications head office in Mumbai. Aluminium and copper major Hindalco Industries, the Kumar Mangalam Birla-led Aditya Birla Group flagship, acquired Canadian company Novelis Inc in a $6-billion, all-cash deal in February 2007. Till date, it is India's third-largest M&A deal. The acquisition would make Hindalco the global leader in aluminium rolled products and one of the largest aluminium producers in Asia. With post-acquisition combined revenues in excess of $10 billion, Hindalco would enter the Fortune-500 listing of world's largest companies by sales revenues. 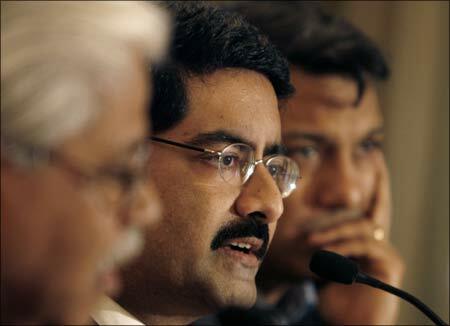 Image: Kumar Mangalam Birla (center), chairman of Aditya Birla Group. Marking the largest-ever deal in the Indian pharma industry, Japanese drug firm Daiichi Sankyo in June 2008 acquired the majority stake of more than 50 per cent in domestic major Ranbaxy for over Rs 15,000 crore ($4.5 billion). The deal created the 15th biggest drugmaker globally, and is India's 4th largest M&A deal to date. 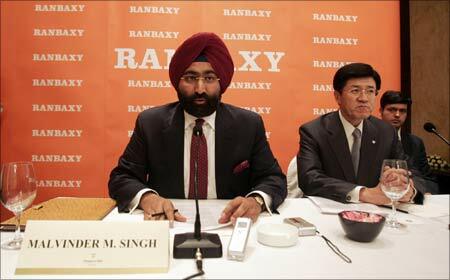 Image: Malvinder Singh (left), ex-CEO of Ranbaxy, and Takashi Shoda, president and CEO of Daiichi Sankyo. The Oil and Natural Gas Corp took control of Imperial Energy Plc for $2.8 billion, in January 2009, after an overwhelming 96.8 per cent of London-listed firm's total shareholders accepted its takeover offer. Speaking about India's fifth largest M&A deal, ONGC chairman R S Sharma said the company owed the acquisition to government support, which has seen OVL in the past seven years increase its number of projects to 39 in 17 countries, from just a single project in Vietnam. 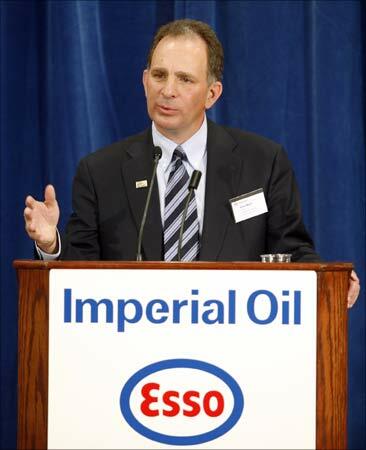 Image: Imperial Oil CEO Bruce March. 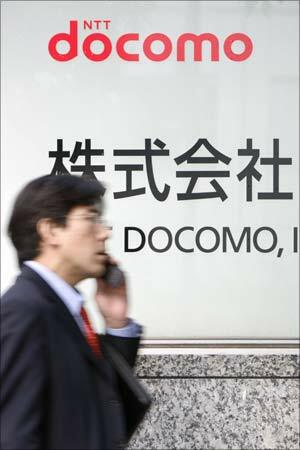 Japanese telecom giant NTT DoCoMo picked up a 26 per cent equity stake in Tata Teleservices for about Rs 13,070 crore ($2.7 billion) in November 2008. This is the 6th-largest M&A deal involving an Indian company. With a subscriber base of 25 million in 20 circles DoCoMo paid Rs 20,107 per subscriber to acquire the stake. DoCoMo picked up the equity through a combination of fresh issuance of equity and acquisition of shares from the existing promoters. Image: A man walks past a signboard of Japan's biggest mobile phone operator NTT Docomo Inc. in Tokyo. HDFC Bank approved the acquisition of Centurion Bank of Punjab for Rs 9,510 crore ($2.4 billion) in one of the largest mergers in the financial sector in India in February, 2008. CBoP shareholders got one share of HDFC Bank for every 29 shares held by them. Post-acquisition, HDFC Bank became the second-largest private sector bank in India. The acquisition was also India's 7th largest ever. 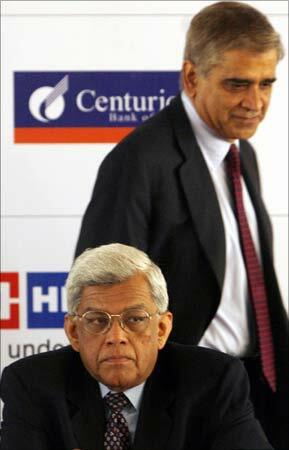 Image: Rana Talwar (rear), Centurion Bank of Punjab chairman , and Deepak Parekh, HDFC Bank chairman. Creating history, one of India's top corporate entities, Tata Motors, in March 2008 acquired luxury auto brands -- Jaguar and Land Rover -- from Ford Motor for $2.3 billion, stamping their authority as a takeover tycoon. Beating compatriot Mahindra and Mahindra for the prestigious brands, just a year after acquiring steel giant Corus for $12.1 billion, the Tatas signed the deal with Ford, which on its part chipped in with $600 million towards JLR's pension plan. Tata Motors' buyout of JLR is India's 8th-largest in history. 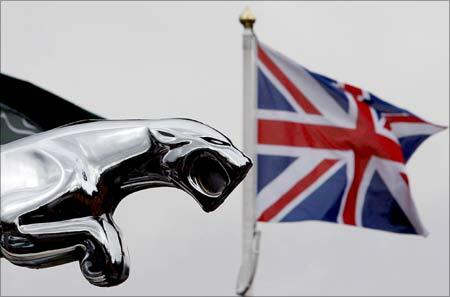 Image: A Union flag flies behind a Jaguar car emblem outside a dealership in Manchester, England. 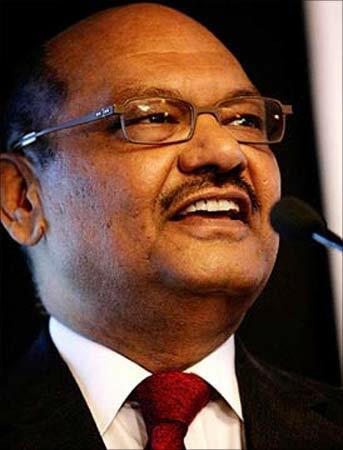 Anil Agarwal-led Sterlite Industries Ltd's $1.8 billion Asarco LLC buyout deal is the ninth biggest-ever merger and acquisitions deal involving an Indian firm, and the largest so far in 2009. This is despite the deal size falling by almost $1 billion, from a projected estimate of $2.6 billion in May 2008, due to devaluation of mining assets and a sharp fall in copper prices. Sterlite, the Indian arm of the London-based Vedanta Resources Plc, acquired Asarco in March 2008. Image: Vedanta Group chairman Anil Agarwal. Wind power major Suzlon Energy in May 2007 acquired the German wind turbine manufacturer REpower for $1.7 billion. The deal now ranks as the country's 10th largest corporate takeover. REpower is one of Germany's leading manufacturers of wind turbines, with a 10-per cent share of the overall market. Suzlon is now the largest wind turbine maker in Asia and the fifth largest in the world. 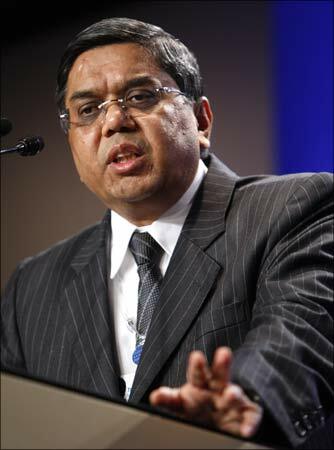 Image: Tulsi Tanti, chairman and managing director of Suzlon Energy Ltd.
Reliance Industries in March 2009 approved a scheme of amalgamation of its subsidiary Reliance Petroleum with the parent company. The all-share merger deal between the two Mukesh Ambani group firms was valued at about Rs 8,500 crore ($1.68 billion). This makes it India's 11th largest M&A transaction till date. Post-merger, RPL shareholders received one fully paid equity share of Rs 10 each of the company for every 16 fully paid equity shares of Rs 10 each of RPL held by them. The RIL-RPL merger swap ratio was at 16:1. The merger became effective from April 1, 2008. 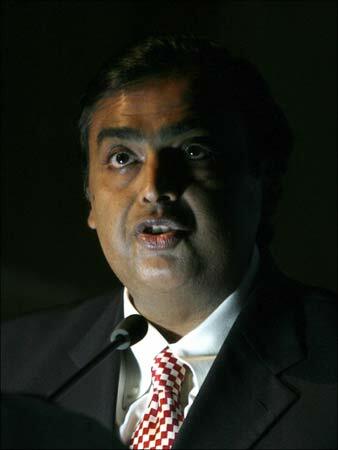 Image: Reliance Industries' chairman Mukesh Ambani.